Reading Italian Psychoanalysis fornisce una guida comprensiva del pensiero psicoanalitico italiano di questi ultimi anni. Ripercorre gli sviluppi teorici e i progressi clinici con particolare enfasi su temi contemporanei quali il transfert, il trauma e gli stati primitivi della mente su cui il pensiero italiano e’ stato particolarmente influente. Franco Borgogno, Alberto Luchetti e Luisa Marino Coe forniscono un ampio panorama su come la psicoanalisi italiana si sia sviluppata ripercorrendo le sue fasi iniziali e concentrandosi poi sui temi più attuali. Sono stati scelti dunque quarantotto lavori particolarmente influenti e significativi per illustrare cosa ci sia di speciale rispetto al pensiero teorico e clinico italiano e che possano ben mostrare la specificità del suo discorso analitico. I lavori sono preceduti da una prima sezione introduttiva che riguarda la psicoanalisi italiana e seguiti in chiusura da “rapido sguardo” sulla psicoanalisi italiana vista dall’estero. Tali capitoli sono poi raggruppati in sezioni rappresentative delle aree esplorate dalla psicoanalisi italiana. Ciascuna sezione e’ accompagnata da un commento introduttivo che riassume le principali idee e concetti assieme ai loro risvolti storici e culturali di modo da orientare il lettore e offrirgli degli stimoli per il dibattito e indicare le connessioni sia tra questi stessi lavori sia il resto della psicoanalisi mondiale. Questo volume offre un eccellente e dettagliato affresco del dibattito della psicoanalisi italiana, facendo luce su di un pensiero che si e’ sviluppato diversamente da quello in Francia, nel Regno Unito, nel Nord America e nell’America Latina. E’ ideale per studenti di teoria della clinica che siano nei primi anni o più senior e anche per analisti esperti che vogliano saperne di più della teoria e della tecnica analitica italiana e di come questa si sia sviluppata. 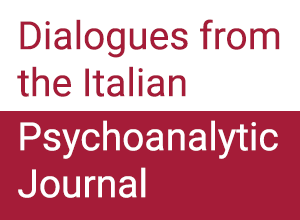 Psychoanalysis in Italy is a particularly diverse and vibrant profession, embracing a number of influences and schools of thought, connecting together new thinking, and producing theorists and clinicians of global renown. 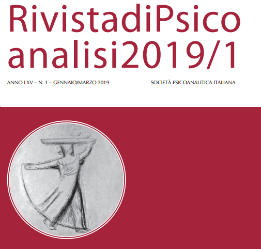 Reading Italian Psychoanalysis provides a comprehensive guide to the most important Italian psychoanalytic thinking of recent years, including work by major names such as Weiss, E.Gaddini, Matte Blanco, Nissim Momigliano, Canestri, Amati Mehler, and Ferro. It covers the most important theoretical developments and clinical advances, with special emphasis on contemporary topics such as transference, trauma and primitive states of mind where Italian work has been particular influential. In this volume, Franco Borgogno, Alberto Luchetti and Luisa Marino Coe of the Italian Psychoanalytical Society provide an overview of how Italian psychoanalysis has developed from the 1920’s to the present day, tracing its early influences and highlighting contemporary developments. 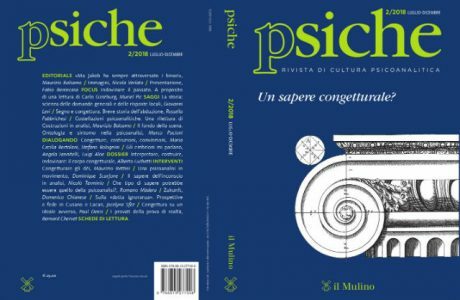 Forty-six seminal and representative papers of psychoanalysts belonging to the two Italian psychoanalytical societies (the Italian Psychoanalytical Society and the Italian Association of Psychoanalysis) have been chosen to illuminate what is special about Italian theoretical and clinical thinking, and what is demonstrative of the specificity of its psychoanalytic discourse. The selected papers are preceded by a first introductory section about the history of psychoanalysis in Italy and followed by a “swift glance at Italian psychoanalysis from abroad”. They are grouped into sections which represent the areas particularly explored by Italian psychoanalysis. Each section is accompanied by introductory comments which summarize the main ideas and concepts and also their historical and cultural background, so as to offer to the reader either an orientation and stimulus for the debate and to indicate their connections to other papers included in the present volume and to the international psychoanalytic world. This volume offers an excellent and detailed “fresco” of Italian psychoanalytic debate, shining a light on thinking that has evolved differently in France, England, North and Latin America. It is an ideal book for beginners and advanced students of clinical theory as well as experienced psychoanalysts wanting to know more about Italian psychoanalytic theory and technique, and how they have developed. Franco Borgognoi s Professor of Clinical Psychology (Turin University), Training and Supervising Psychoanalyst of the Italian Psychoanalytical Society and member of the Board of many international psychoanalytic journals and book series. In 2010 he received the Mary S. Sigourney Award. Alberto Luchetti is Training and Supervising Psychoanalyst of the Italian Psychoanalytical Society. Past Editor of theRivista di Psicoanalisi, he is Member of the Scientific Board of the Jean Laplanche Foundation’s ‘New Foundations for Psychoanalysis’ of the Institut de France. Luisa Marino Coe is a member of the Italian Psychoanalytical Society and a guest member of the British Psychoanalytic Society. She is former President of the International Psychoanalytic Studies Organization (IPSO) and Chair of the IPA IPSO Relations Committee. She was Editor of theItalian Psychoanalytic Annual.